NM Political Report spent some time in northern New Mexico this week and stopped by KNCE-FM in Taos to speak with Wake Up, Taos! host Rita Daniels. Matthew Reichbach and Andy Lyman spoke with Daniels about some recent coverage and polls from NM Political Report. 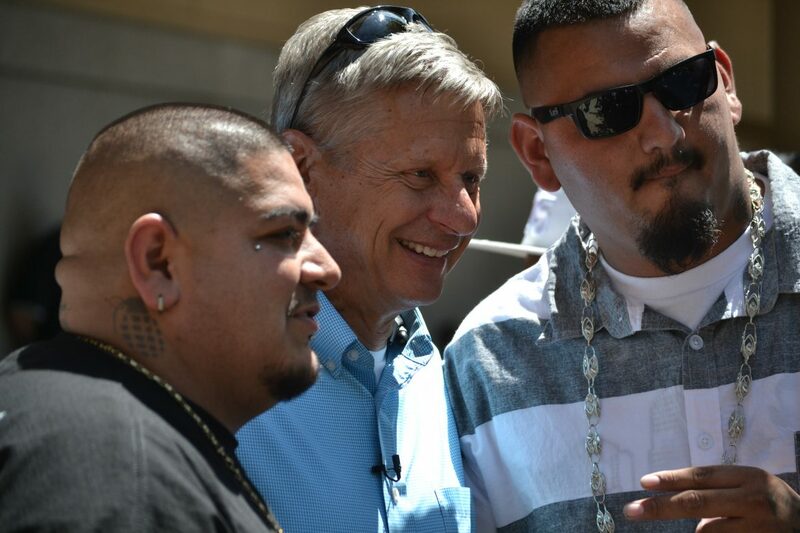 We discussed the presidential numbers, the Secretary of State numbers, Gary Johnson’s campaign trip to New Mexico and what it was like to cover the infamous Albuquerque Donald Trump rally in May. We also discussed our poll that found that reinstating the death penalty is popular among New Mexico voters. You can listen to the show from Wednesday morning here.